Water is a marvellous thing. An elixir of body, mind and soul, drinking the recommended amount of water every day can unlock some incredible advantages for your health and well-being. Water is used in every cell, organ and tissue in the body, playing an integral role in the regulation of temperature and the maintenance of vital bodily functions. Realising the powerful benefits that drinking water brings is easy, particularly in the UK where we enjoy great quality tap water and even better quality filtered water at the turn of a handle or the push of a button. The original wonder drink, there’s more to water than meets the eye. Here we reveal just five fun and unforgettable facts about drinking water. All living things need water, and as a result a large percentage of the body is made up of the good stuff. Human bodies and trees have a lot in common thanks to their water content. Whilst actual water content varies from species to species and from season to season, on average water makes up 80% of a tree’s mass. That’s the same water content as the human brain. Maybe that’s the thinking behind the phrase ‘knock on wood’! The trick to feeling hydrated all the time is drinking water before you feel thirsty. Your body is continuously losing water through breathing, sweating and urinating. Establishing how much water your body needs is a great place to begin. Your recommended daily intake is reliant on a number of factors. Even the weather outside has an impact on how much water you need to be truly hydrated. The human body may be able to survive for as long as three weeks without food but without water you won’t last long. As the body is made up of around 60% water, every single living cell needs to stay hydrated to survive. You can only survive three to four days without water. Without the right hydration your body will simply fail to function. 4. Water can help you lose weight – but don’t put down the glass just yet! When using water to lose weight, enjoying optimum success doesn’t mean stopping drinking water. The body may be made up of 60% water but drinking even more is the key to increasing your metabolism and burning calories at a faster rate. Going sugar free with your diet and opting for water instead of other beverages is another excellent way to go if one of your New Year’s resolutions is to slim down. Drinking water isn’t just a matter of improving your health and well-being now. Staying hydrated could protect your body in the weeks, months and years to come too. Water has been described by the Arthritis Foundation as a ‘magical elixir’, which not only prevents arthritis from developing but relieves symptoms in long term sufferers of the condition. Water flushes out toxins to ensure your body is in the best possible shape to fight inflammation. 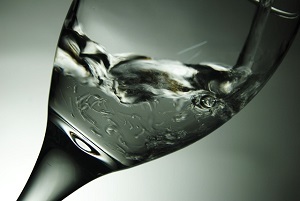 Water also keeps the joints impacted by arthritis, and associated gout attacks, well lubricated.